If you are one of the millions of people in the U.S. with tinnitus, or ringing in the ears, you might already know how debilitating it can be. Or perhaps you are one of those who considers tinnitus to be “no big deal," and who doesn’t suffer any ill effects in their day-to-day lives. If you are one of those fortunate people who isn’t bothered by your tinnitus, it turns out there is a reason for it. It all starts with the brain. to those with severe tinnitus. A study out of the University of Illinois revealed not only that those who have tinnitus process emotional sounds differently than those who do not have tinnitus, but also that among those who have tinnitus, there are significant differences in which regions of the brain are used when processing emotions. Not a disease in and of itself, tinnitus is usually a symptom of another underlying health condition or the result of trauma such as exposure to loud noise or ototoxic medications. Basically, tinnitus is the perception of sound such as ringing or buzzing in one or both ears when no sound is present. And that perception of sound means that the brain is a key player in the presence and severity of tinnitus. "We are trying to understand how the brain adapts to having tinnitus for a very long time," said Fatima Husain, University of Illinois speech and hearing science and neuroscience professor who led the research team. The research study was especially significant given that, according to the NIDCD, 25 million people in the U.S. have experienced tinnitus symptoms lasting at least five minutes in the past year. There is no “cure” for tinnitus, only treatments and therapies that can reduce the severity of the condition. During the study, the use of functional MRI allowed researchers to see changes in blood oxygen levels in the brain. Researchers first looked at the brain activity of those with tinnitus versus those without. The goal was to compare how the brain processes emotion in the two groups. During the fMRI, the participants in the study were exposed to 30 “pleasant” sounds, 30 “unpleasant” sounds and 30 “neutral” sounds. Types of sounds included children giggling, babies crying, and the sound of a water bottle opening. The results of the fMRIs showed those with tinnitus had greater engagement in different areas of the brain when exposed to emotion-triggering sounds than those without tinnitus. As a result, the researchers took the next step: comparing the brain activity of patients with tinnitus to each other, the only difference between subjects being varying degrees of severity of tinnitus. The reason for the comparison was that some patients adjust well to the ringing in their ears, while others do not. What this means is that the severity of the condition can vary greatly from person to person, because “severity” is based on the level of tinnitus distress that the individual reports. Since tinnitus can manifest itself in many different ways, each patient’s experience is unique. While some aren’t bothered by their tinnitus, others experience a reduced quality of life negative consequences include depression, anxiety, difficulty sleeping, mood swings, irritability and even suicidal thoughts. Those with tinnitus were first given surveys with questions relating to hearing, attitude, emotion and sleep to gauge the severity, or perceived level of distress from their tinnitus. Following the surveys, the fMRI was repeated. The second round of fMRI revealed to researchers that those with less severe tinnitus, i.e. those who reported lower tinnitus distress, actually used a different pathway to process emotional information. While conventional wisdom says the part of the brain known as the amygdala is the key to emotional processing, the patients who weren’t as bothered by tinnitus used more of the brain’s frontal lobe to process emotions. The heightened activity in the frontal lobe was notable because the frontal lobe is typically used more for attention, planning and impulse control. 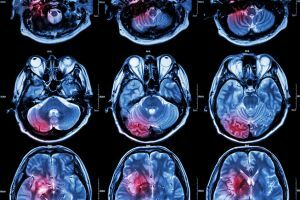 The takeaway for the researchers was that greater activation of the frontal lobe helped control emotional responses and reduce tinnitus stress, which could have far-reaching implications on possible interventions or therapies for tinnitus. One group in particular that could benefit is the military, as both active and former members are disproportionately affected by tinnitus. The Department of Veterans Affairs reports that in 2011, tinnitus was the most prevalent service-connected disability, affecting upwards of 840,000 people. Fortunately, Husain plans to continue her research, and active duty service members will be a high priority. Ultimately Husain is hopeful that the results of the research will help doctors better understand tinnitus and lead to more effective therapies that could improve quality of life for all tinnitus patients. Don't forget - tinnitus often accompanies hearing loss, too. Treating your hearing loss can bring back the wonderful sounds of life, improve your relationships and help keep your mind sharp. For some people who have both tinnitus and hearing loss, just wearing hearing aids can also alleviate tinnitus.